Maplegrove Partners – founded by my podcasting partner Christian Johnson, this web and media hosting service has all the benefits and security like the big guys with all the best customer service and customizations of a small shop. Christian is taking on new customers and podcasters at https://maplegrovepartners.com/ I have been with MGP from the beginning and don’t plan to move anytime soon. They provide both my web and media hosting service. MediaFire – Back in the fall I started using MediaFire.com to host my video feeds for the entire network. We put both our Video Large and Video Small files over there for consumption by the listeners. For $50 a year, I get 1TB of storage and 10TB of bandwidth a month to use for media hosting. The bandwidth I don’t use rolls over from month to month. I currently have almost 100TB saved up in my account. That works for me. They have been rock steady and reliable. Thousands of my videos get download each month without a single issue. Highly recommend. 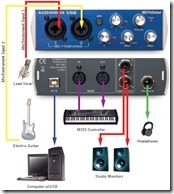 A couple of weeks ago, I spilled a large cup of water all over my Alesis MultiMix 8 USB FX [http://amzn.to/2oC0bBR] that I had purchased just last year at Guitar Center for a steal price of $99. Needless to say, the mixer didn’t survive the bath. 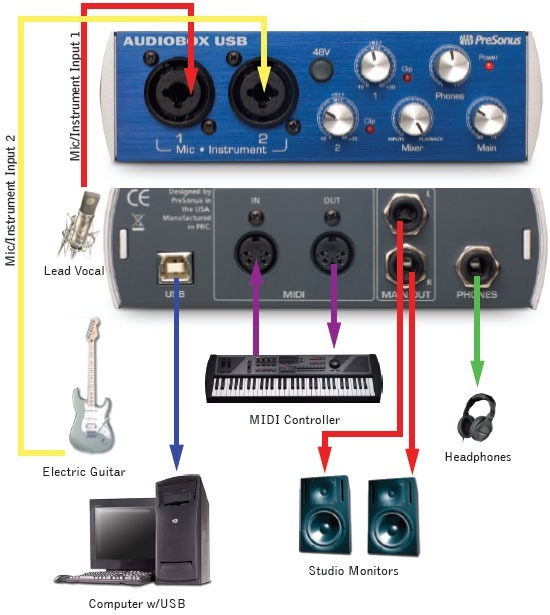 Using it as an opportunity to try something different, I purchased a PreSonus AudioBox USB 2×2 USB Recording Interface [http://amzn.to/2q4BVJS] from Guitar Center locally here in Omaha. It was fairly easy to install and get up and running, but I wouldn’t say it’s for beginners. Since it is very limited in audio mixing features, I used VoiceMeeter (http://vb-audio.pagesperso-orange.fr/Voicemeeter/index.htm) and created virtual audio cables to create a software mix minus. I used it for Ask the Podcast Coach on May 16 (http://askthepodcastcoach.com/dealing-with-live-scenarios-and-guests/) and it worked ok. With a little more practice and time, I would have take most of the bass out of the mix. It also clicked a lot on my end. You couldn’t hear it in the final cut but doing a live show with a lot of audible clicking in the background is unjaring. Not the best long term solution for me. To replace the Alesis Mixer, I ordered the Mackie PROFX8 8-Channel Mixer [http://amzn.to/2q4iBfJ ]. 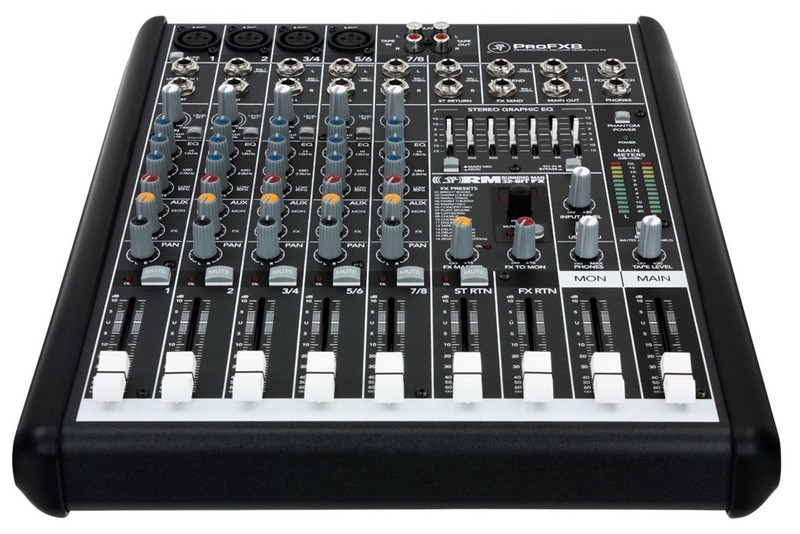 This 8 channel mixer has 4 XLR outs and plenty of bells and whistles for the average podcaster. At $170, it’s also very affordable for most. 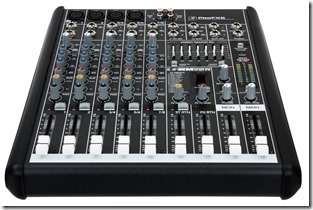 It has sliders for the volume as compared to the knobs for the Alesis and it a bit more durable if taken on the road. I don’t plan on ever taking it out of the studio, but it would do well if I needed to. Sound output wise, I can’t really tell any difference between it and the Alesis Multimix 8, so advantage to the Alesis for price, coming in at about $130. However, if you ever think you might use this as a road board, the advantage would go to the Mackie. 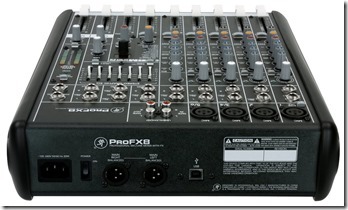 Either would work for most people, it’s just a matter of the features you are looking for with the mixer. No update to the Mics or Arm for this year. Still using the Audio-Technica ATR2100-USB Cardioid Dynamic Mic [http://amzn.to/2oBV6tb] that I purchased a while back. 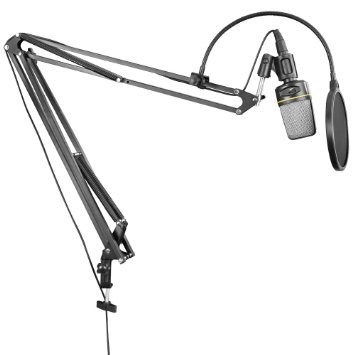 Not going to lie, I would love to purchase the Heil Sound PR40 Dynamic Microphone http://amzn.to/2oiKbtf to try out as well. At north of $300, I am having an issue pulling the trigger on it. 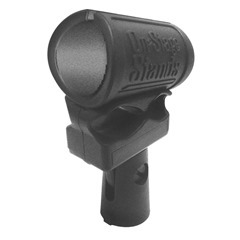 The 2100’s have an all black version too. 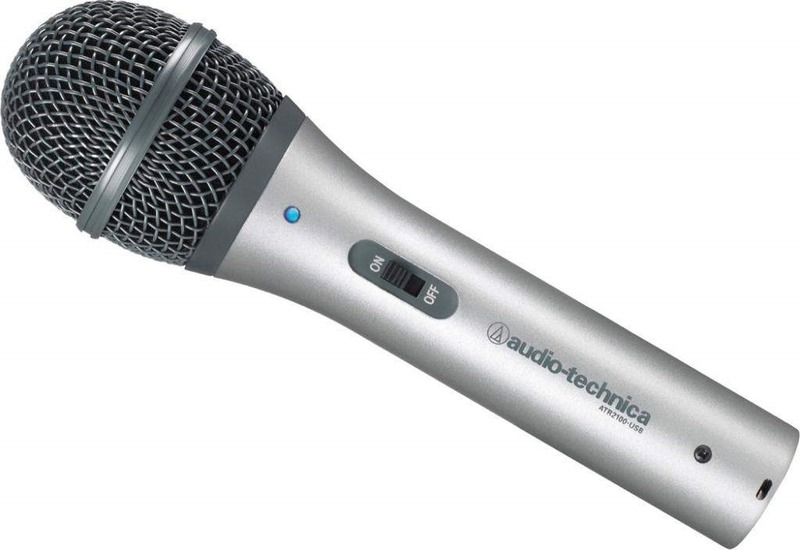 The Audio-Technica AT2005USB Cardioid Dynamic USB Mic [http://amzn.to/2oBWPio], which is nearly identical to the 2100 in every way but color and on/off switch. They are nearly the same price on most days at Amazon. 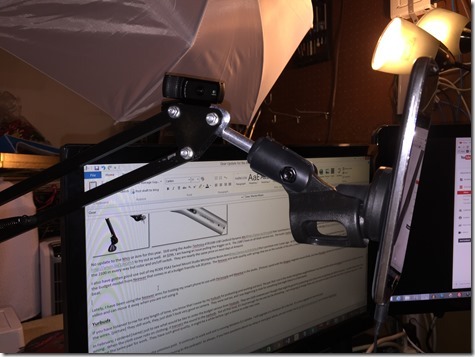 I also have gotten good use out of my RODE PSA1 Swivel Mount Studio Microphone Boom Arm [http://amzn.to/2ozStcs] that I purchase over 2 years ago. 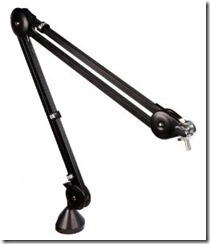 At $99 it is on the high end for boom arms, but well worth the price. 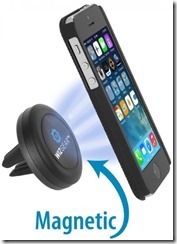 Lately, I have been trying out the budget model from Neewer that comes in at a budget friendly sub 20 price. 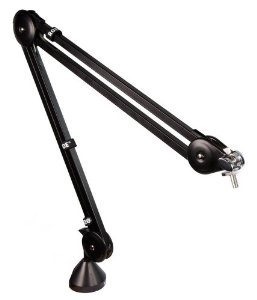 The Neewer arm lacks quality with springs that are on the outside of the arm, a mount that is not very sturdy and lighter grade metal used. But for the price, it’s hard to beat. Lately, I have been using the NEEWER Microphone Suspension Boom Scissor Arm [http://amzn.to/2pTE5wO] for holding my smart phone to use with Periscope and Meerkat in the studio. Pared with the Car Mount, WizGear – Universal Air Vent Magnetic Car Mount Holder [http://amzn.to/2pan2Z4] you have flexible solution for holding phone at the right angle for the video and can move it away when you are not using it. If you have listened to me for any length of time, you know that I swear by my Yurbuds for podcasting (and working out too!) The pair that I use in the studio had gotten caught between my chair and the desk and stripped off some the insulation around the wires. They still work, they just didn’t look very good on camera. They were red too, and I was beginning to look for something that might blend in a little better. No changes to the PC that I built in the previous post. It continues to work well and is running Windows 8.1 Update. I will upgrade it to Windows 10 in the fall. It’s a free upgrade for the first year.